Captain James Bell Foulis graduated BL from the University in 1905. He was born in Glasgow on 4 April 1883, son of Alexander Foulis, a lawyer. Foulis studied at the University of Glasgow from 1900, initially under the Faculty of Arts, but in 1903 he moved to the Faculty of Law. During the academic session of 1905-6 he was awarded fourth prize for Mercantile Law by William Shaw. 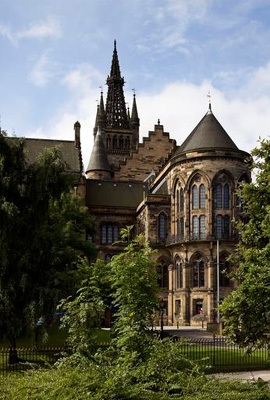 Foulis graduated BL from the University of Glasgow on 18 April 1905. After obtaining his degree, Foulis worked as a Law Clerk in Glasgow and was admitted to be a law agent in Scotland on 27 October 1906. With the outbreak of the First World War Foulis fought in the 5th Battalion Queens Own Cameron Highlanders, who were formed in August 1914 in Inverness as part of the ‘New Armies’. The 5th Battalion were mobilised for war and landed in Boulogne on 10 May 1915. Foulis was named as a temporary Second Lieutenant on 12 May 1915. He was then promoted to the position of temporary Captain for the period between 9 December and 25 December 1915, inclusive, a position which he was later to gain permanently. Foulis was killed in action on 18 October 1916 during the Battle of the Somme, most likely during the Battle of Le Transloy. This was a battle fought between the British and French armies against the German Empire between 1 July and 13 November 1916 and resulted in over 1 million casualties. Foulis has been commemorated in the Thiepral Memorial, France, Somme.